When seeds are placed before germination either in a vertical position with their embryonic roots pointing down or subjected to microgravity conditions, a peg develops on each side, said Hideyuki Takahashi from Tohoku University in Japan. To understand how plants sense gravity and stimulate their own growth, scientists have examined cucumber seedlings germinated under microgravity conditions of the International Space Station (ISS). Cucumbers feature specialised protuberances, or pegs, whose formation is regulated by gravity. However, when they are placed horizontally on the ground, peg formation on the upper side is suppressed in response to gravity. Using samples grown on board the ISS, researchers highlight the valuable contribution of the gravity-sensitive CsPIN1 protein to this process. 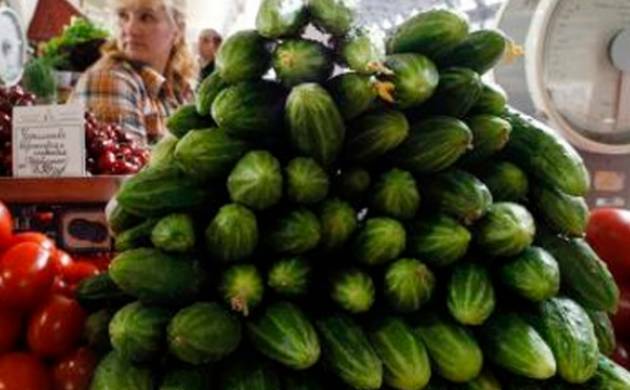 To gain further insight, researchers loaded cucumber seeds into specially designed canisters, which were sent up to ISS. Water-absorbent plastic foam in the container was irrigated and the now-germinating seedlings were grown in the microgravity compartment of the cell biology experiment facility for 24 hours. Then the cucumber seedlings were either maintained in microgravity or gravi-stimulated by applying a one-gram centrifugal force for a further two hours. One of the big challenges facing the team was finding a suitable fixative to “freeze” the status of the seedlings germinated on the space station so that the samples could be analyzed in detail back on Earth. Safety regulations on the space station prohibited the use of the standard fixing solution of ethanol, chloroform and acetic acid, but after much testing, scientists developed an alternative based on a mixture of acetic acid, ethanol and distilled water. Researchers then used a staining technique to pinpoint changes in cellular behaviour induced by gravi-stimulation. Examining cross sections of the seedlings under a microscope, the scientists found that the CsPIN1 protein can relocalize under the influence of gravity. The change in the position of protein was found to occur in the transition zone of the cucumber seedling - the area between the stem and the roots - where the pegs develop. It appears that this behaviour stimulates the formation of a cellular canal capable of transporting growth hormones from one side of this zone to the other, researchers said. The findings point towards the mechanism by which the seeds are able to turn on and off the growth of their anchoring pegs in relation to their orientation with respect to gravity. The study was published in the journal Nature Microgravity.